1. Grind the soaked almonds with a little milk. 2. Place a pan over moderate flame. 3. Add 1/2 cup of milk and sugar. 4. Stir till the sugar has dissolved and the milk has reached a one string consistency. 5. Add the badam paste and mix well. 6. Gradually add the gram flour and mix well. 7. Now gently add the ghee and cook till it starts to leave the sides of the pan. 8. Transfer to a greased plate and allow it to cool. 9. Cut into slices and serve. 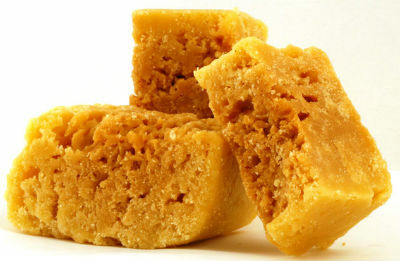 Feel free to comment or share your thoughts on this Badam Mysore Pak Recipe from Awesome Cuisine.